A couple of years ago I wrote a post describing my favorite summer pizza. I thought about this post recently as I was preparing what had obviously become my favorite winter pizza…obvious because I have lost count of the number of times it has appeared on my table this winter. 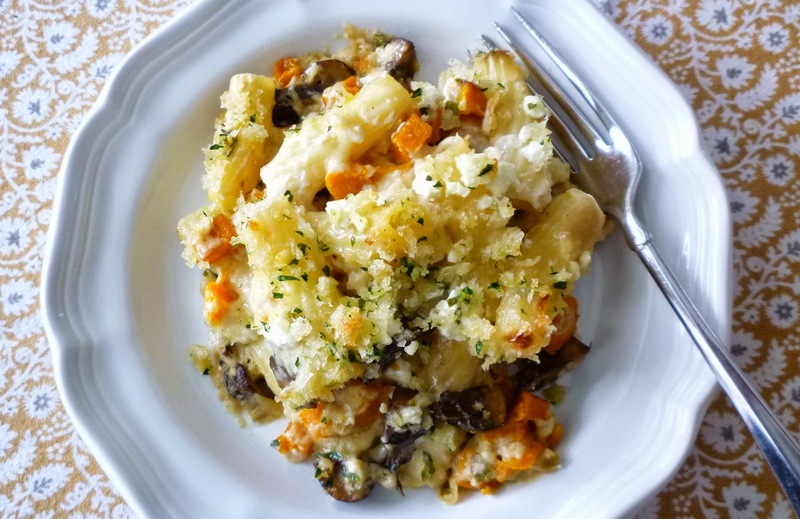 It features Winter Squash, Mushrooms & Cheese. It doesn’t seem to matter what kind of cheese I use—I vary it according to whatever I have in the house—it is the combination of the squash and mushrooms that brings me back to it again and again. 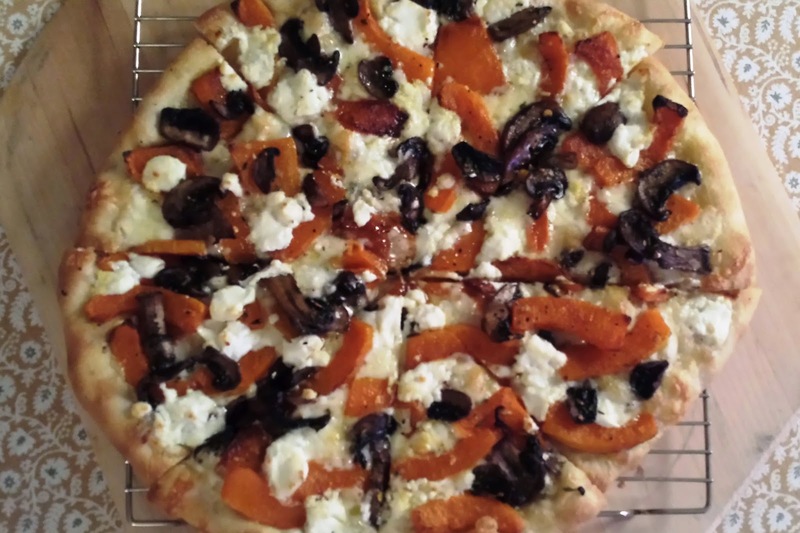 As with the pizza, I just used cheeses that I had on hand (a combination of Dubliner and goat cheese)…but they worked very well—highlighting both the squash and the mushrooms—and I will seek these two cheeses out the next time I make this dish. If you would like to use something else, choose cheeses that have a nutty and/or tangy character. A combination of two cheeses offers more depth of flavor. Other good options include White Cheddar and Gruyère. It goes without saying that anything you choose should have good melting qualities. 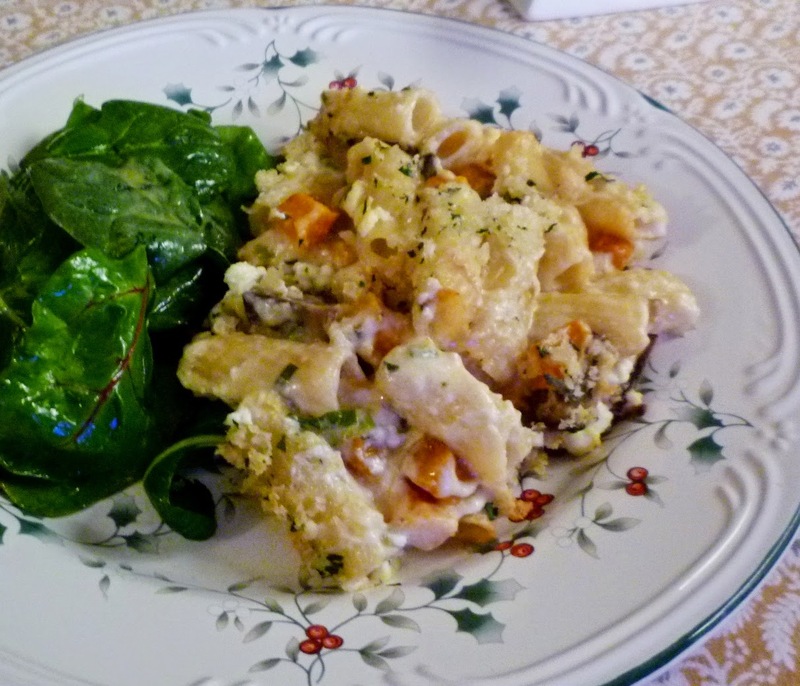 The addition of a final scattering of grated Parmesan or Pecorino would add nice flavor too. 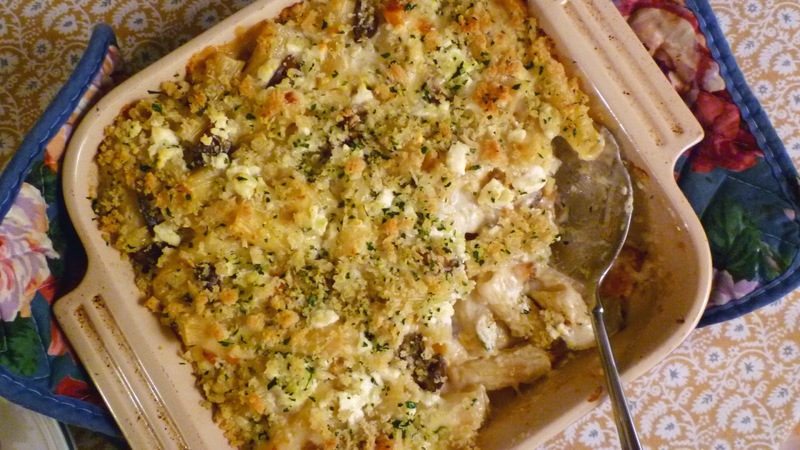 All in all, the baked pasta turned out to be just the thing for our snow day. But I won’t necessarily wait around for the next snowstorm before I decide to make it again. 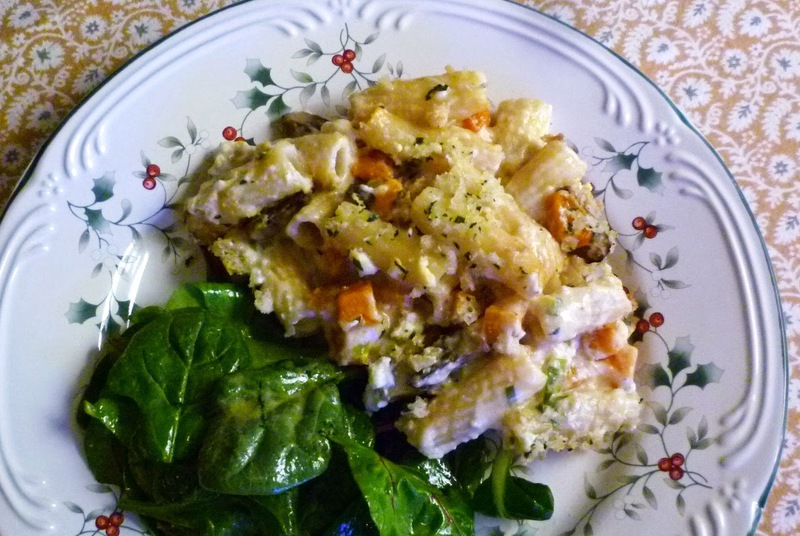 Any day… when I happen to be hungry for macaroni and cheese….or butternut squash with mushrooms…will do just fine. Warm a half tablespoon each of butter and olive oil in a medium sauté pan set over medium high heat. When the butter has melted and the foam subsides, add the mushrooms and sauté, tossing occasionally until the mushrooms are golden and any liquid they have released has evaporated. Reduce the heat to medium and add the remaining half tablespoon of butter and the scallions. Season with salt and toss to coat everything in the butter. Continue to cook until the scallions are wilted and tender. Set aside. Generously butter a shallow 1 3/4- to 2-quart baking dish and set aside. Prepare the béchamel: In a large saucepan, bring the milk to a simmer; keep hot. In another large saucepan, melt the butter over medium heat. 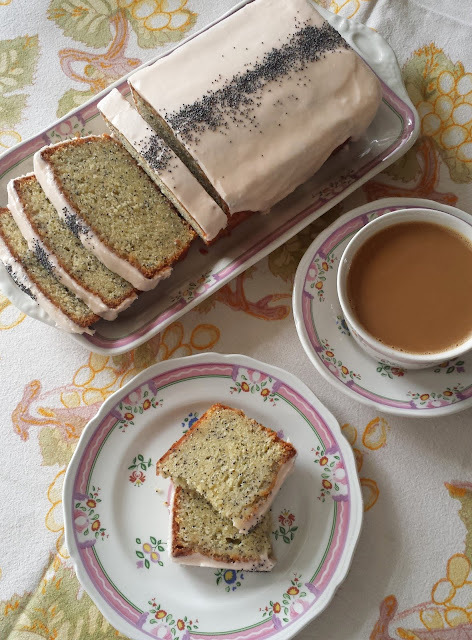 When the foam subsides, whisk in the flour. Cook stirring constantly for a minute or two—the roux will be bubbly and straw yellow. Remove from the heat and pour in half of the hot milk, whisking constantly until very smooth—it will thicken immediately. Add the remaining milk. Return to the heat and stir constantly until the sauce returns to a simmer. Taste and season as desired with salt, pepper and nutmeg. Cook the rigatoni in a large pot of rapidly boiling, well-salted water. Stir occasionally and cook until the pasta is still very al dente—even more so than you would normally cook it, since it will continue to absorb liquid and soften while it is in the oven. Drain. 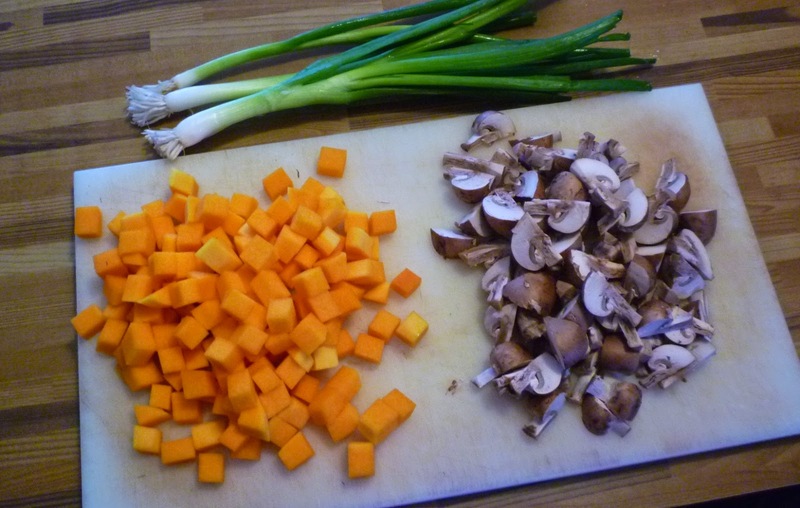 In a large bowl, combine the pasta with the mushrooms and squash. Add the béchamel and fold to distribute. Add the Dubliner and fold in just until evenly distributed—the cheese does not have to melt. 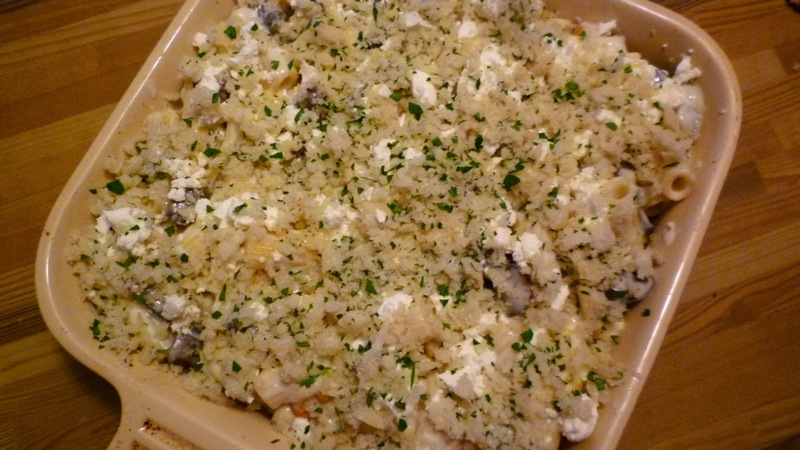 Transfer to the prepared baking dish and scatter the goat cheese over the top. Combine the breadcrumbs with the butter and parsley, if using, and spread evenly over all. Transfer the pan to the oven and bake until hot through and bubbling just around the edges—about 20 to 25 minutes. If necessary, place under the broiler (about 4 inches from the heat) until the top is golden. Serve immediately. Generously serves 3 to 4. Prepare breadcrumbs by taking slightly stale, “day old” bread and grinding in the food processor to form coarse crumbs. I use a local artisanal bread called “rosemary and olive oil” bread to make my breadcrumbs. So I will always have some on hand, I purchase a whole loaf, let it sit for a day or two and then cut the crusts off and grind it up. I then freeze the crumbs in a large ziplock freezer bag (pressing out as much of the air as possible to prevent the formation of a lot of ice crystals). You will need 6 1/2 to 7 oz. of cheese for this dish. 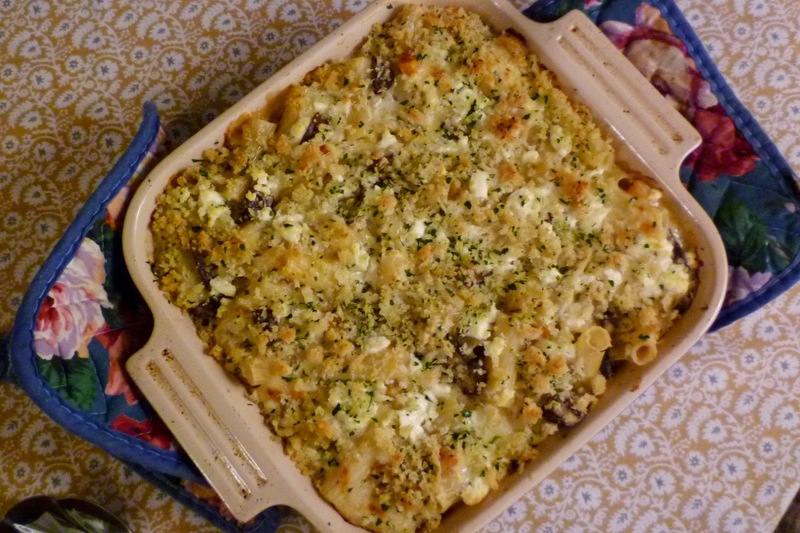 If not using the goat cheese, but still using two kinds of cheese, grate both cheeses and toss them together. Fold all but a large handful of the cheese into the pasta, scattering the reserved handful over the top just before covering with the breadcrumbs.